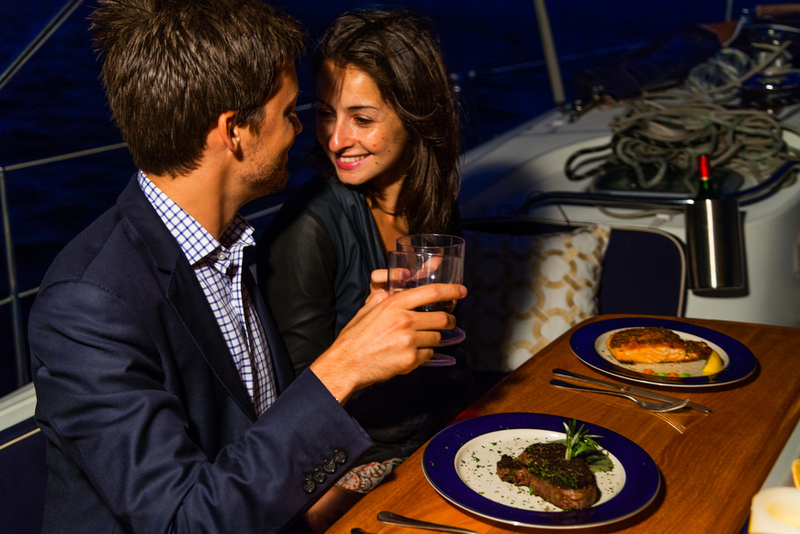 Having a private romantic dinner for two on our yachts, will make your special occasion a truly memorable experience. All inclusive package includes hor d'oeuvres, entree’s and chocolate Strawberries. All cooked to order by our Private Chef. You may dine outside in our cockpit on our luxurious teak wood table,or down below in our beautifully appointed teak cabin. We will provide candles to set the mood, and you will have a panoramic view of NYC while you dine in both locations. 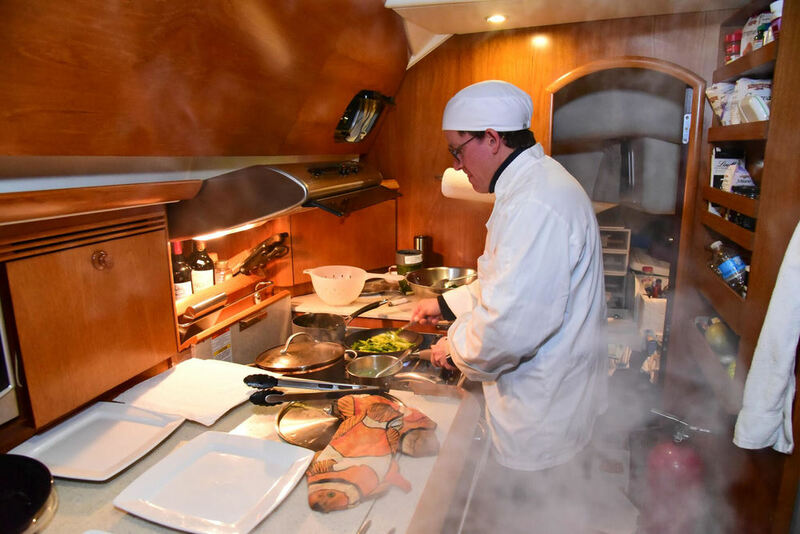 Our cabin can be heated or air-conditioned to suit your desires. Got a Question? Email Us at sailawayny@gmail.com or use the form below!